Life lessons from Westlife’s reunion. How we can all free ourselves and come back stronger. Westlife have announced their reunion with a series of gigs and a brand-new song, written no less, by Ed Sheeran. I was delighted to hear some of the band talking on the radio today because I felt that this was a brilliant life lesson on how to do what you long to do. 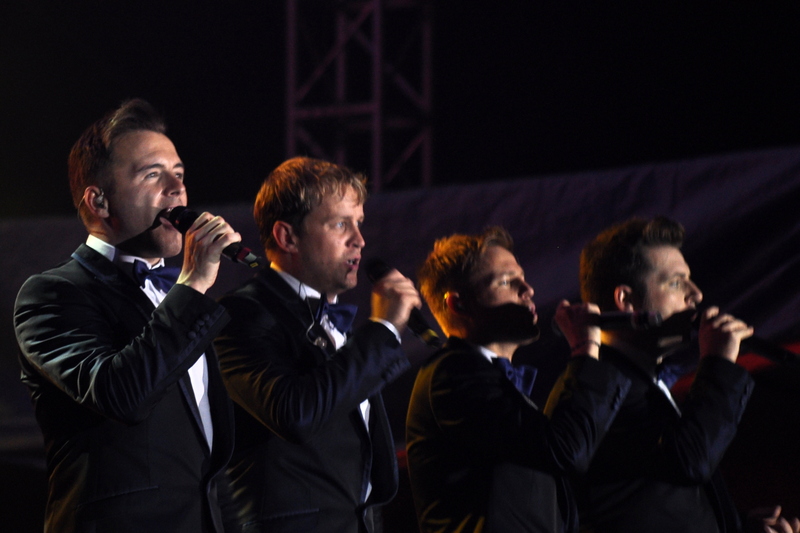 Whether they are your cup of tea or not, Westlife have been hugely successful. Now, after 7 years, away they’re back and Kian said, and this was my lightbulb moment, “We felt like kids again”. I don’t know their personal stories, I’ve not been following their past 7 years, I don’t know the why’s and wherefores of this new reunion. Why I think this is powerful for all of us is the sense of freedom & joy I took from their radio interview and what that can teach us. They talked about being childlike. “We felt like kids again” were the exact words from Kian. How can we dream and play like we were kids again? Where can we find the childlike wonder and magic in what we’re doing with our lives? If we had that curiosity and fearlessness of kids what could we do? They talked about collaborating. They found new collaborations, they picked back up with people they worked with before. They were creating with others. If we were open, if we asked to be part of something what would happen? If we didn’t fear sharing our ideas and rusted in others where would it take us? They talked about taking time out. Everyone needs rest, sometimes from doing the thing you’re best at. We all need to refuel and find our mojo again. They took 7 years, maybe for you it’s 7 minutes, or 7 days. What time do we need to take back? What does rest look like for us? Is it movement, sleep, creation, travel? How do we give ourselves permission to take time out? next year but now. They have seized the moment. What is ripe right now? What won’t wait, what needs to come forth? If you went ahead and did it anyway what’s the worst that could happen? Finally…they talked about enjoyment. They were interview pros but even so there was a genuine tone of excitement in their voices. Why do we make things serious or hard for ourselves? How do we make things fun? Why should it be embarrassing or flippant to have a laugh? Don’t we all want to enjoy our lives? It’s not every day I take a life lesson from an Irish boy band. But this time I think Westlife have got it right. I may not be rushing out to buy tickets but I do feel inspired by their sense of play, freedom and joyful enjoyment. What if that were all of us? The Drama of Returning “Home” for a High School Reunion: Do We Ever Graduate?